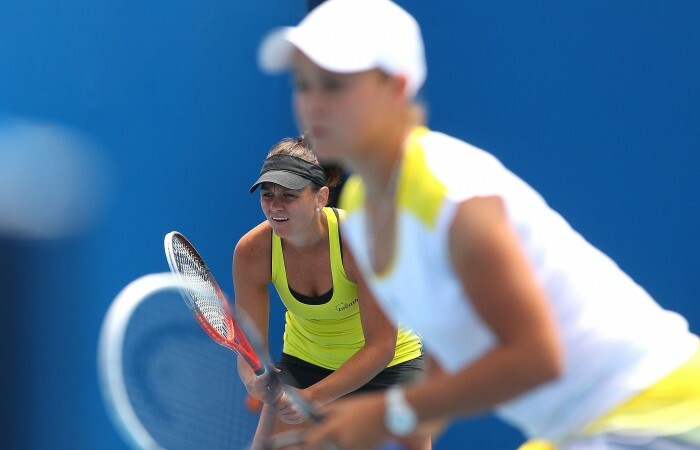 Friday saw the Aussies in all forms of doubles action at Melbourne Park with the upset of the day produced by veteran Casey Dellacqua and young gun Ashleigh Barty. 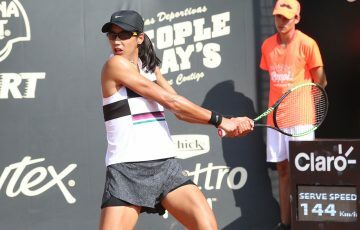 The pair continued their winning ways in the women’s doubles after waltzing past the tournament’s third seeds Maria Kirilenko and Lisa Raymond 6-4 6-4 to move into the third round. “That was probably one of the toughest matches you could get in the draw so to get through feels awesome,” said Dellacqua after the match. After winning in Japan and reaching the semifinals in Brisbane – where they had match points – the classic “lefty-righty” combination is playing superbly well together, despite making the interesting decision to both play their forehands on the inside court. 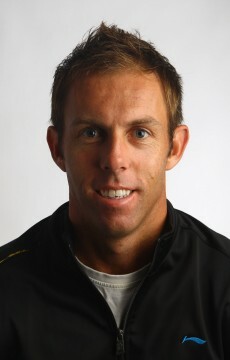 “We are very comfortable on the sides we have. It’s working well so we’ll stick with it,” Barty said. 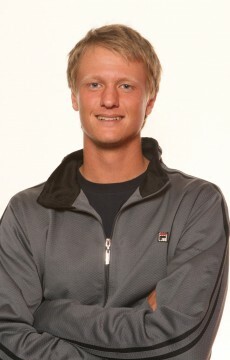 In terms of their prospects in the Australian Open, both see it as just a matter of continuing to have fun. 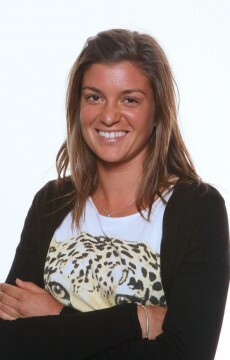 “We are just going to keep enjoying it and see what happens,” Dellacqua said. “We’ve always got on really well and it’s so good when you go out there and play with a mate,” added Barty. 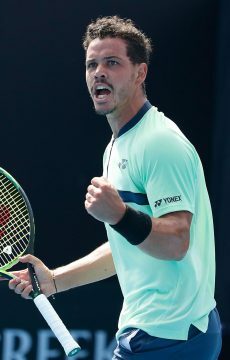 The Aussies didn’t fare so well in second round men’s doubles today with veteran Paul Hanley the sole winner for the men, cruising past Jarkko Nieminen and Michael Kohlmann 6-1 6-4 with his American partner Eric Butorac. 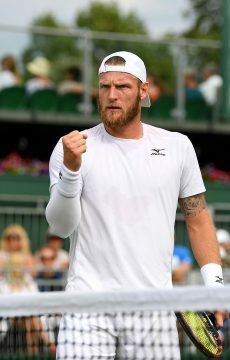 Sam Groth and Matt Reid bowed out in a three-set tussle to the accomplished pairing of Jeremy Chardy and Lukas Kubot 6-4 3-6 6-3. 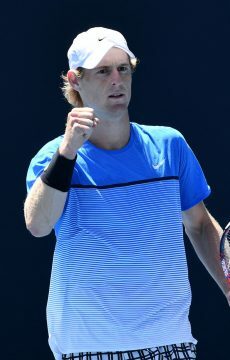 Giant-killing duo John-Patrick Smith and John Peers couldn’t repeat their first round heroics falling 6-3 6-3 to Mikhail Youzhny and Sergiy Stakhovsky. Greg Jones and Alex Bolt also went down, losing 6-2 7-6(4) to Daniele Bracciali and Lukas Dlouhy. 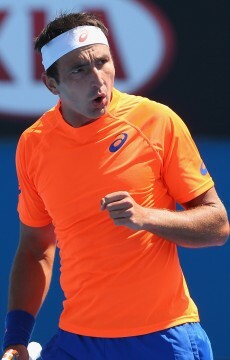 In first round mixed doubles action, vastly experienced pair Nenad Zemonjic from Serbia and Slovakian Katarina Srebotnik wasted no time in brushing aside Aussies Marinko Matosevic and Olivia Rogowska 6-3 6-3 in exactly one hour. 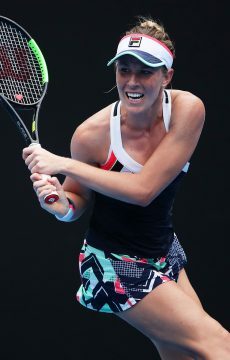 Another local pair was on court early, with big-serving lefty Chris Guccione alongside Bojana Bobusic, the Aussie wildcard who gave Agnieszka Radwanska an early scare in their first round singles encounter. They too faced a formidable foe, in Spanish veteran Anabel Medina Garrigues and reigning US Open mixed doubles champion, Brazilian Bruno Soares. The Aussies stuck with the more experienced pair for the entire match but a single break of serve was enough to undo them, as they went down in a close one 6-4 6-7(7) [10-3] after saving three match points in the second set tiebreaker. 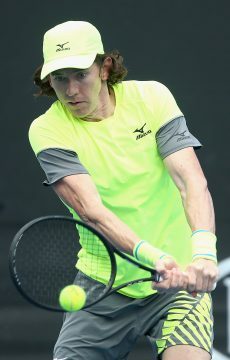 The night session featured Samantha Stosur and former world No.1 junior and reigning Australian Open boys champion, Luke Saville. 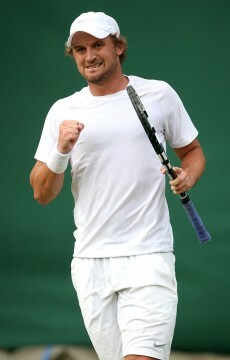 They were up against third seeds Sania Mirza from India and American Bob Bryan. 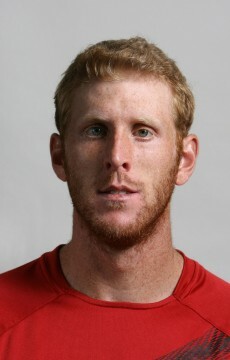 Mirza is the reigning French Open mixed doubles champion and won the event here in 2009, while Bryan has won every mixed doubles Grand Slam except the Australian Open. In the end, their experience proved too much, downing the Aussies in a one-sided but entertaining battle 6-2 6-2.